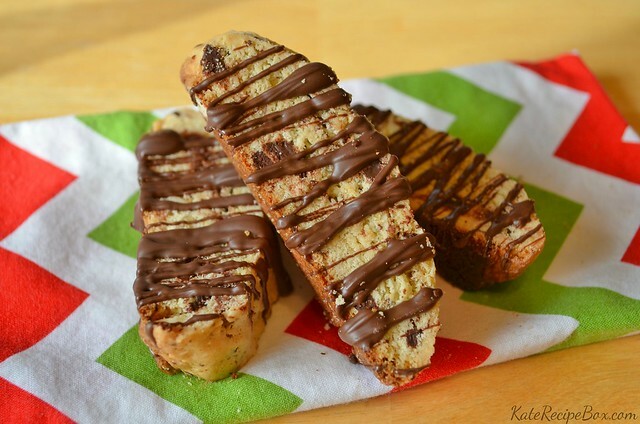 This month’s What’s Baking challenge was to make biscotti. I wasn’t sure how this would go because I’ve never made it before – and the only biscotti I’ve ever eaten were really dry and unappealing so I didn’t think I liked it. This biscotti is super simple, with just enough sweetness to make them the perfect holiday accompaniment to coffee or tea. Now that I have these under my belt, I’m sure I’ll be trying different varieties next year! 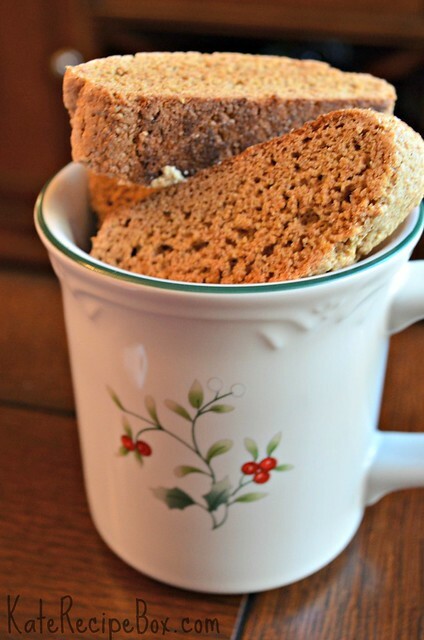 To see the biscotti other bloggers made for the challenge, check out Coleen’s roundup at The Redhead Baker tomorrow! In a large bowl, whisk together the flour, baking soda, salt and sugar. Add in the eggs, vanilla and almond extract and stir until well-combined and dough-like. Divide dough in half anf form into 2 logs about 2″x13″. Bake for 25 minutes, then cool on a rack for 10 minutes. Using a bread knife, cut into 1/2″ slices and bake for 10 more minutes, turning halfway through.